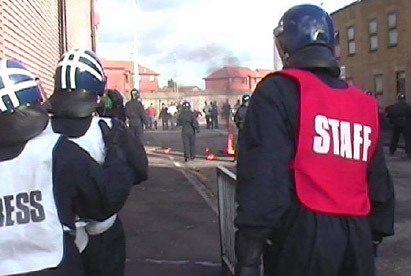 Pilgrims Group Public Order Awareness Training is designed for anyone working where there is a threat of civil unrest or disorder. We begin by showing you how to plan and prepare. We show you how to lower your profile through choice of clothing and carriage of equipment, and how to use the environment around you to protect yourself. We show you how to analyse, understand and anticipate a variety of crowd scenarios. We outline law-enforcement tactics to give you a greater understanding of the situation as it unfolds around you. When a situation turns violent, we show you how to get yourself and your team to safety.